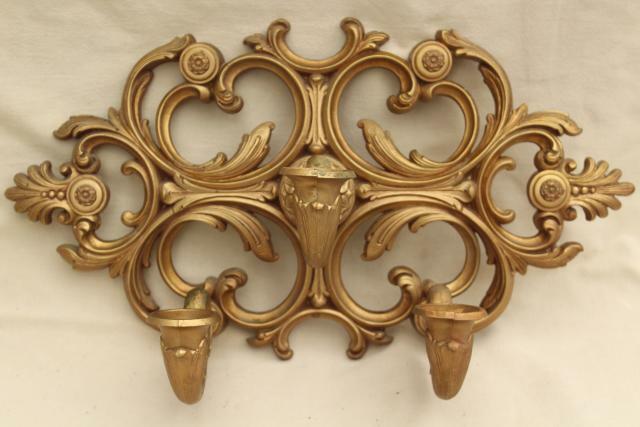 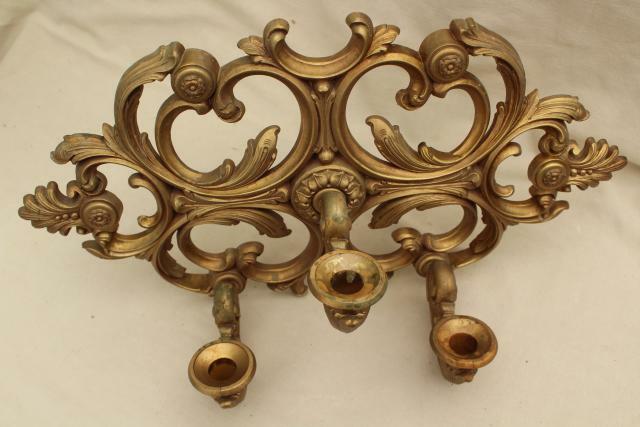 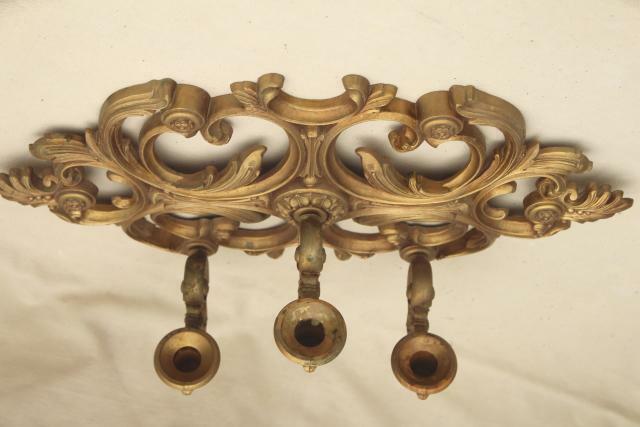 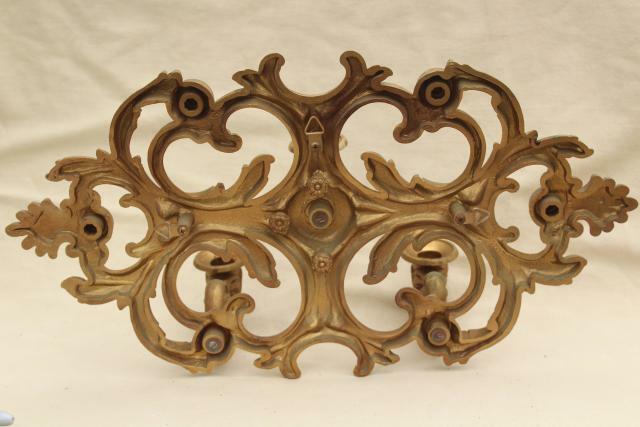 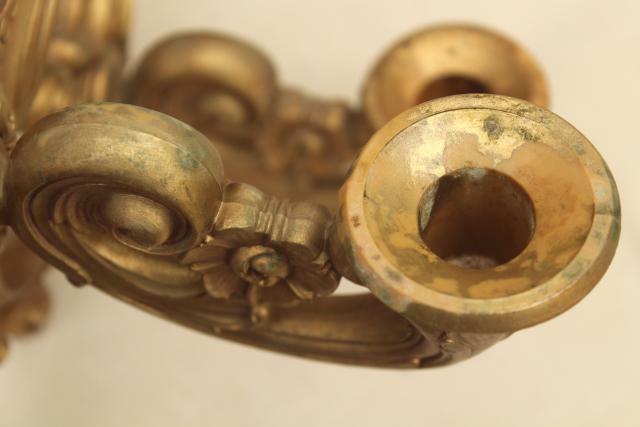 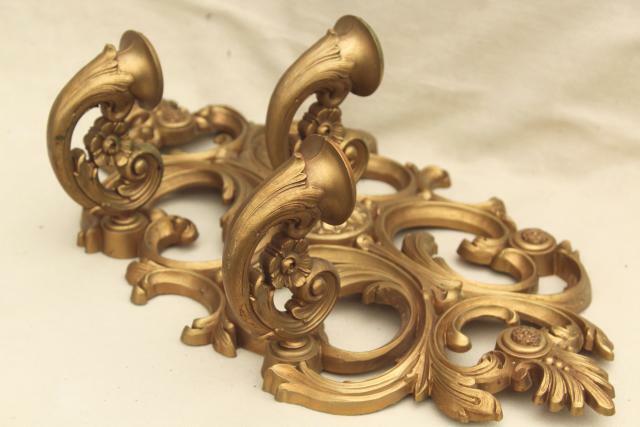 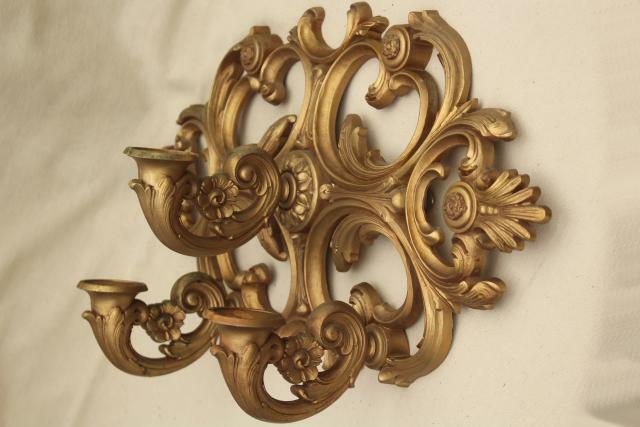 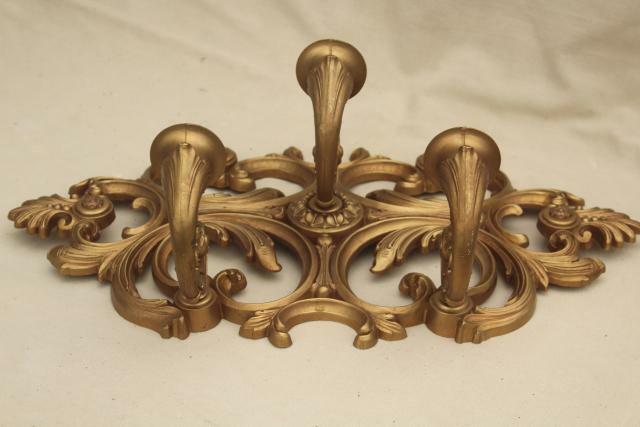 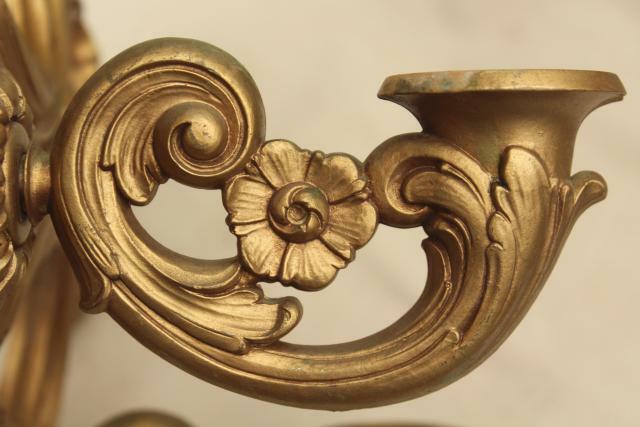 70s vintage ornate gold plastic wall mount candle sconce to hold three candles, so pretty! 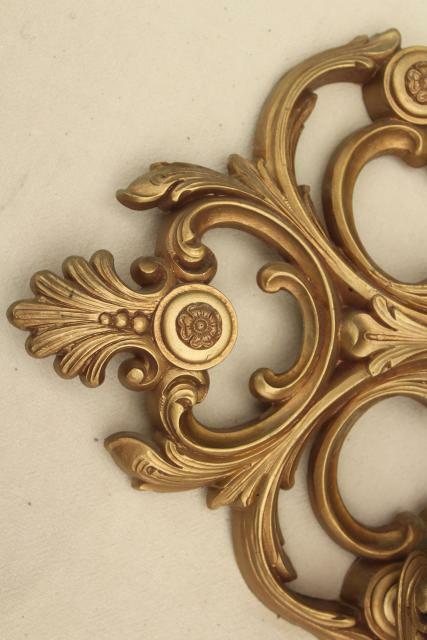 This measures about 19 1/2" x 11 1/2" overall. 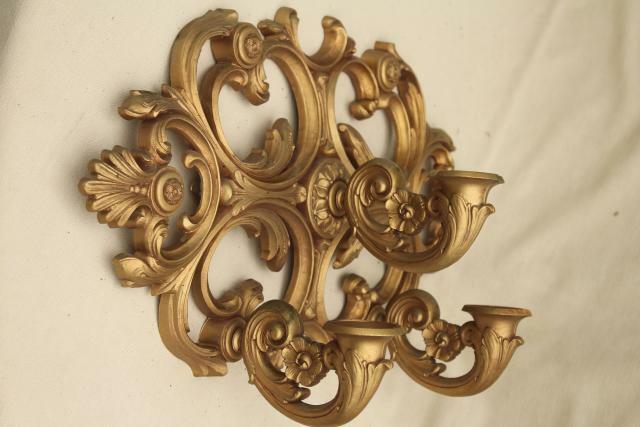 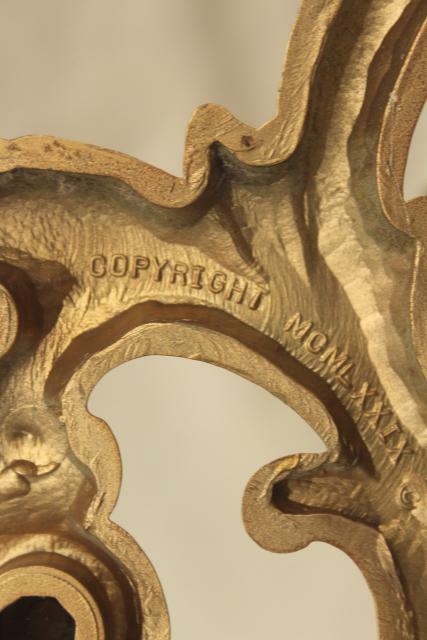 There's a little wear to the antique gold colored finish, but it's in good condition structurally, and ready to hang.